This novel, written by Kamel Daoud, reveals the hidden side of Albert Camus’ novel The Stranger. In The Stranger, Camus has his principal character, Meursault, shoot and kill a nameless Arab for no apparent reason other than possible disorientation from sunstroke. In The Meursault Investigation, Daoud names the murdered Arab as ‘Musa’ (Moses), and considers the implications of the murder from the viewpoint of Musa’s brother ‘Harun’ (Aaron). Camus was a French-Algerian philosopher, an ‘absurdist’ who held that human life is absurd. He was also regarded as an existentialist (he disagreed) and a pacifist. He was born in 1913, won the Nobel Prize for Literature in 1957, and died in 1960. In The Stranger, which was published in 1942, Camus used the murder of the nameless Arab for no reason as an example of the absurdity of human life. 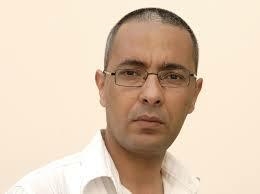 Kamel Daoud is an Algerian journalist based in Oman. His background is similar to that of Camus: French-speaking, Algerian writer and philosopher. The Mersualt Investigation is Daoud’s first novel, published in 2015, and it has been recognised with several prizes in France. In The Mersault Investigatiom, Harun is in a bar in Oman reflecting morosely on his brother, his mother and the book by the listener’s hero (Camus). Included in his reflections are thoughts on Algeria, its people and its relationship to France. The tone of the book is pessimistic and its conclusions are ambiguous (much like the tone and content of The Stranger). One is left with the impression that there can be no God, and that life itself can have no meaning. This is not an enjoyable book to read, because of its pessimistic philosophy, and because nothing conclusive arises from its reflective monologue. No new ‘facts’ emerge about any of the characters, except that Musa was a real person who was loved by his mother and close the the heart of his younger brother. Still, one has the impression that The Mersault Investigation is a classic in the absurdist philosophical tradition. If you liked Camus’ writing, you will certainly appreciate Daoud’s. He has created a well-written philosophical sequel to one of Camus’ great works.